Good Morning! I hope everyone had a lovely Easter weekend. Ours was a good mix of down time relaxing at home, and time spent visiting with family. 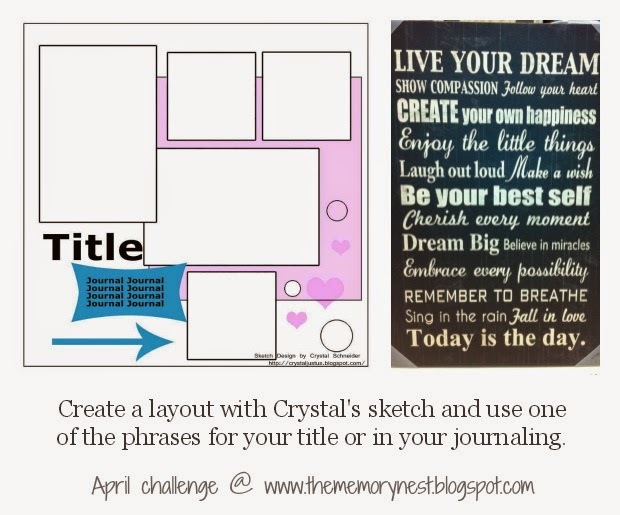 Today there is another sketch challenge happening over at The Memory Nest. And there is a little twist as well - to use one of the phrases for a title or in your journalling. 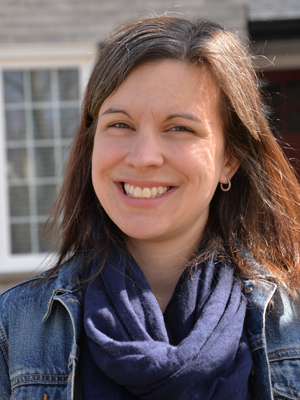 For my layout I used only one photo and included several blocks of patterned paper. I love that I was able to use so many different patterned papers - very much my cup of tea - and that the photo still takes center stage. 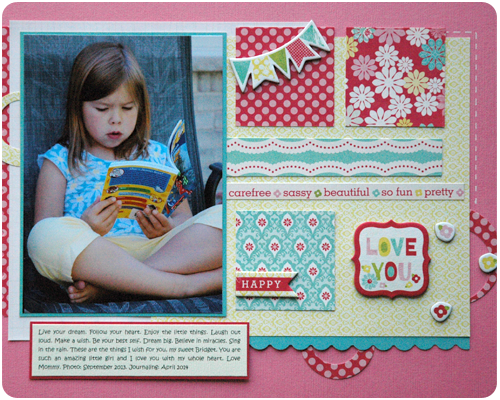 The paper and embellishments on this page are from the Sweet Girl line by Echo Park. As for the phrases included in the challenge, many of them are what I wish for my little girl so I used them as my journalling. My journalling reads: "Live your dream. Follow your heart. Enjoy the little things. Laugh out loud. Make a wish. Be your best self. Dream big. Believe in miracles. Sing in the rain. These are the things I wish for you, my sweet Bridget. You are such an amazing little girl and I love you with my whole heart. Love Mommy"
This was such an inspirational sketch, something that could really be interpreted a number of ways so I am very excited to see what the other ladies on the Design Team came up with. Be sure to stop by The Memory Nest to see their work. Lovely layout!! Great take on the sketch!!! Thanks Leslie. I really enjoyed working with this sketch.